Can there truly be love after death? Drifting in the dark waters of a mysterious river, the only thing Amelia knows for sure is that she's dead. With no recollection of her past life—or her actual death—she's trapped alone in a nightmarish existence. All of this changes when she tries to rescue a boy, Joshua, from drowning in her river. As a ghost, she can do nothing but will him to live. Yet in an unforgettable moment of connection, she helps him survive. Amelia and Joshua grow ever closer as they begin to uncover the strange circumstances of her death and the secrets of the dark river that held her captive for so long. But even while they struggle to keep their bond hidden from the living world, a frightening spirit named Eli is doing everything in his power to destroy their newfound happiness and drag Amelia back into the ghost world . . . forever. Thrilling and evocative, with moments of pure pleasure, Hereafter is a sensation you won't want to miss. Why am I waiting on this book?? I actually finished the book earlier this week, and I LOVED IT!! I absolutely must add this to my collection. And I want to know what's going to happen in the next book. :)~ Can't wait to buy this! 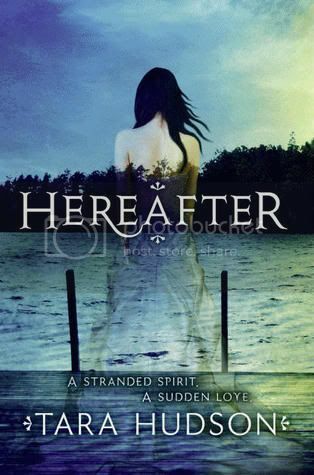 Click HERE for a chance to win 1 of 6 copies of Hereafter from Goodreads.com! This one does sound good. Kind of creepy. I've seen it around, but I guess I wasn't paying attention, 'cause I didn't notice the details of the story like I'm doing now. Great choice. I'm adding it to my huge TBR pile! I personally didn't love Hereafter as much as I hoped, but I'm glad to hear you did! I have this one on Net Galley to read and I can't wait. This one does sound good and one that I am off to add to my wishlist. I have never seen this one before, it looks interesting. Thanks for posting it. I really can't wait to read this book .. The cover looks gorgeous !! Seen this one on NetGalley but haven't decided if I wanted to read it or not! I like the cover though! Very intriguing! I got this one from NetGalley, but haven't read it yet. It sounds amazing! I absolutely LOVE the cover! Oh, it sounds great and I love the cover! The cover is amazing, and it sounds realy good. I will have to add this to my TBR pile. Great pick! I really want this one too! Awesome pick lady! Check out my WOW picks! Sounds awesome. Will have to get it when it comes out. This one sounds great and also mysterious and sad. I'm hoping we'll get this one for the library's collection. :) Thank you for sharing and happy reading! I haven't read this one yet but I trust your opinion so on my pre-order it goes! I've heard of this one ,must read. stop and see mine and my giveaways. This sounds hauntingly beautiful! I love the cover too! Soo beautiful! I am definitely looking forward to this one as well! Been on my tbr list for a while! Glad to hear that it was good. 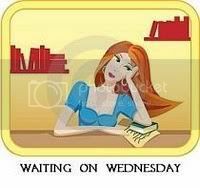 I love finishing a book but hate having to wait for the next one! So glad you liked it! AH! I'm jealous you've already read it! I cannot WAIT for Hereafter to release! Great pick! Glad to hear you liked this one! I'm looking forward to reading it.